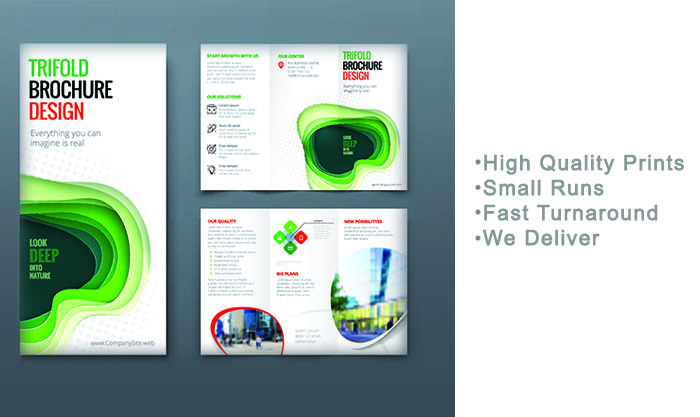 For businesses large and small, a short-run brochure printing just makes sense. One of the most impactful marketing tools available to your business, the brochure provides valuable information to your customers and introduces them to new products and services. Easily upload your brochure image file and it will be printed within 2 to 4 days. Many companies prefer short-run brouchure printing services because it is more cost-effective to produce just what you need. Check out our competitve printing prices or call 702-303-5951 today for a custom quote.